The Hindle House Memorial Project is a 3 part history project commemorating the residents of Hindle House, Arcola Street ,Hackney, London and the surrounding area who lost their lives during the 1939-45 world war. Part 1 is the restoration of the existing civic war memorial located inside Hindle House Community Centre. Part 2 is a new blitz memorial plaque for the residents who were killed when Hindle House was bombed on 18th September 1940. Part 3 is making available the history research relating to the 24 people listed on the memorial plaque. This will be via a website that would be accessible to local people, schoolchildren, historians and anyone else who would be interested. The project started in 2013 and is supported by Timeline, The War Memorials Trust and Southern Housing Group. 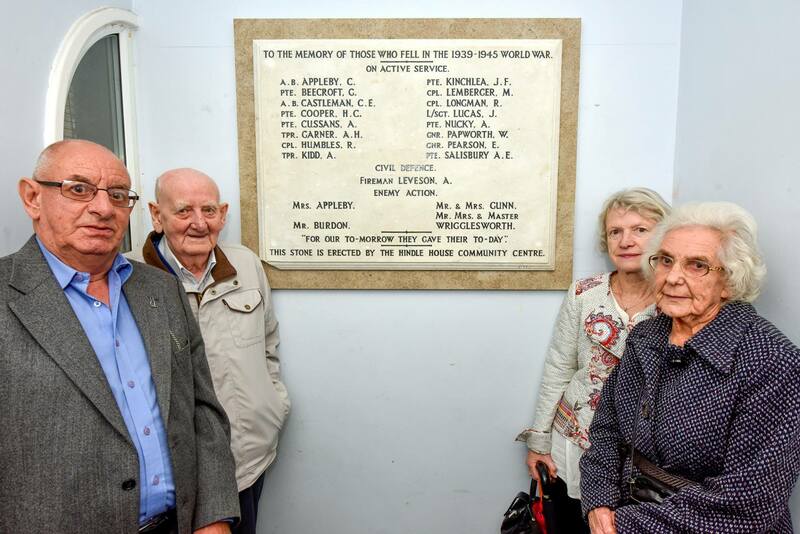 The project managers are Brian and Natalie Longman who have their Great Uncle Reginald Longman on the war memorial plaque. All 3 parts of the project are now complete, please see the website and our facebook page. This archive entry was last updated on 5 January 2018. Information incorrect or out-of-date?